Chosen by Naylah, floor staff. 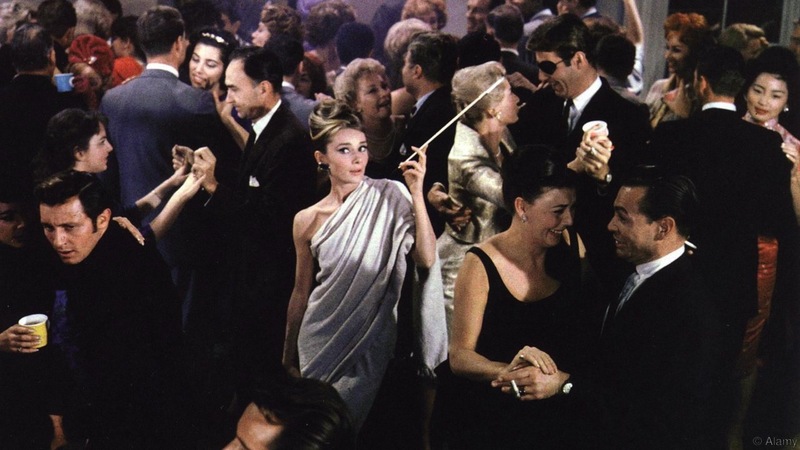 “A viewer is always aware that he is intermittently guffawing and constantly being amazed by a succession of surprises in “Breakfast at Tiffany’s,” which, gleaming like a $50,000 bauble from that haughty institution, landed at the Music Hall yesterday. And, like that storied novella by Truman Capote from which it stems, it is a completely unbelievable but wholly captivating flight into fancy composed of unequal dollops of comedy, romance, poignancy, funny colloquialisms and Manhattan’s swankiest East Side areas captured in the loveliest of colors.